A restful good night sleep is a huge blessing but what if you wake up with a feeling of burden on your shoulders and/or neck? A lot of people compare this feeling to sleeping on the rocks or other hard surfaces. This condition – also referred to as stiff neck is usually a result of poor selection of head-rest or inadequate pillow positioning/ texture that may lead to stress or strain of neck connective tissue elements. Additionally, neck stiffness is also seen in the setting of previous neck injuries. It is imperative to understand that neck rigidity greatly affects the capacity of an individual to perform normal day-to-day operations. But how to cure a stiff neck? Discussed below are some stiff neck remedies, which will help in resuming the normal quality of life in affected individuals. Application of heat and/or ice is not classified as a very effective solution in the setting of stiff neck treatment, but it sure helps in decreasing the intensity of symptoms. Heating pads can be used with a low but constant 'heat release' setting for a duration of 15-20 minutes after every 3-4 hours. A hot bath or warm shower can also play an effective role in reducing the intensity. Heat wraps are available in the form of single use product and may last up to 8-9 hours. Take a plastic bag and fill it with some ice cubes. Now wrap a towel around it to form a homemade ice-pack. Apply this ice pack over your neck for 15-20 minutes after every 2-3 hours. Healthcare provider advise resuming normal physical activities as soon as you can. 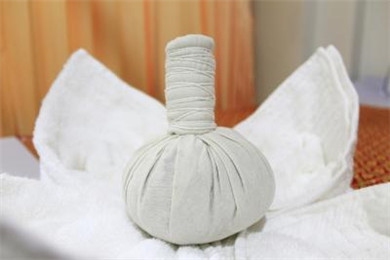 This not only helps in reducing the intensity of symptoms by restoring circulation but also helps a great deal in strengthening the neck muscles. Do not perform heavy and strenuous activities which require strong neck movement such as pulling and lifting etc. Perform some light but effective activities which allows the neck muscles to move efficiently without straining your neck muscles. This significantly improves the flexibility. Try to move the chin towards the chest and then towards the ceiling. 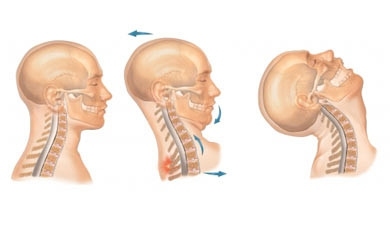 In this way the movement of head will follow a backward and then forward motion. Repeat this procedure a few times. Note that in case of an extremely stiff neck do not hold the neck towards the ceiling for too long as it can aggravate the pain. Slowly turn the neck from left shoulder to the right shoulder. Although this exercise may be very painful considering the rigidity and pain, but physical therapists believe that this strategy is most useful in restoring the normal neck movements. Try these exercises slowly and gradually increase the pace. The series of exercises that are performed against resistance (but without actually using any muscles) are referred to as the isometric exercises. Try this simple routine for effective pain relief. Place the right hand over the right side of the head. Now try to touch the right side of your face with the right shoulder but at the same time, use pressure and force from the right hand to prevent this union. Perform the same routine on the left side. Hold your head steady by placing the hands over the back of your neck. Move the head in backward direction and try to produce resistance in the opposite direction with the help of your hands. Place the right hand over the right side of the face and press it by moving the head towards right shoulder, try the same with left side to ease the stiffness. Massaging the neck with the help of essential oils such as lavender oil, rosemary oil, juniper oil is believed to help in maintaining the blood circulation in the neck region which also effectively eliminates the pain and neck stiffness. Use this technique below to treat yourself to a wonderful pain-relieving massage. Gently grab your neck from the back (with your palm covering the back of the neck), while thumb and fingers are on either sides of the neck. Now apply gentle kneading pressure by digging motion of your fingers and thumb for powerful squeezing strokes. Repeat this activity for several minutes. You can also have someone else, or even a professional do the massage for better result. 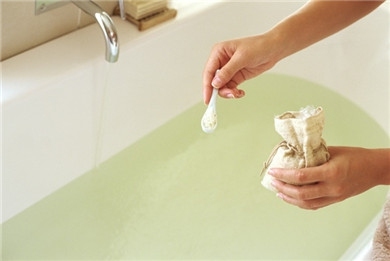 Add 2 full cups of magnesium sulfate (Epsom salt) in a bath full of water. Soak your neck in Epsom salt warm bath so that the magnesium can be absorbed effectively through the skin. Over-the-counter analgesics such as aspirin, ibuprofen etc. are considered as quickest method of stiff neck treatment if there's severe pain. However, use of OTC painkillers is not appropriate for children under the age of 18 years as it can cause encephalitis (brain inflammation) and other signs of injury to vital organs (or Reye’s syndrome). In a mixing pot melt 1 tablespoon of beeswax with 2 tablespoons of coconut oil and heat over medium heat. After melting the contents, add 5-6 drops of eucalyptus and peppermint oil. Mix well and transfer this mixture in a jar containing lid (as it contains essential oils). When cools, massage with this mixture gently. Try to sleep on a comfortable and soft pillow. Use of a single pillow is recommended as multiple pillows can increase the risk of stiff neck. Sleep on a smooth and firm mattress to keep the spine in an aligned position. Always sleep with head up position; don’t sleep on stomach. Application of mustard oil and horse radish over the stiff neck can be effective but don’t apply for a long period of time as it can cause numbness. The listed stiff neck remedies are not helpful in alleviating your symptoms. The pain persists or worsen with time. If the symptoms are getting complicated and indicating an organic or serious injury.